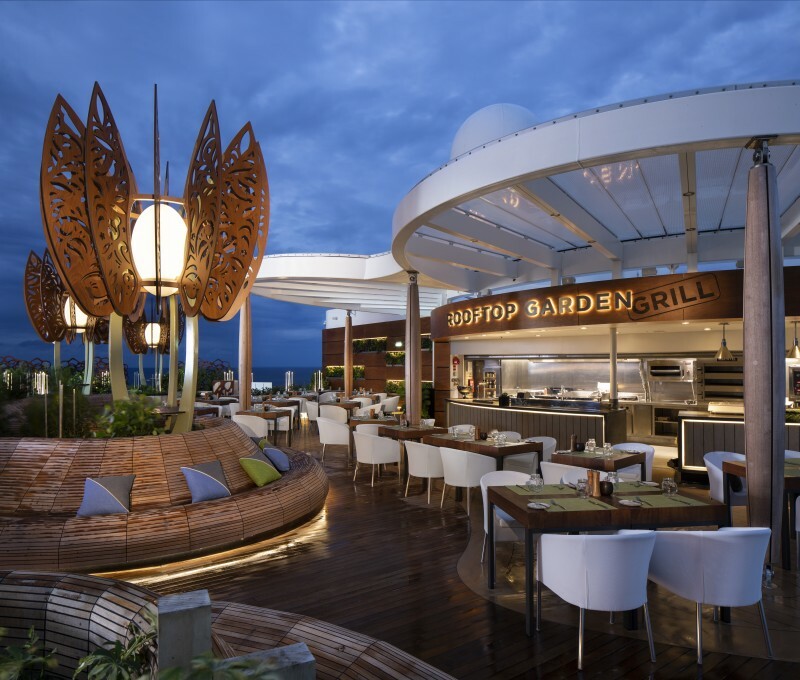 Deck 15 features staterooms in category EV, as well as the Fitness Center, Motion Studios, The Retreat Lounge, Outdoor Deck, Jogging Track to Deck 16, the Rooftop Garden, Rooftop Garden Grill, and Sunset Bar. 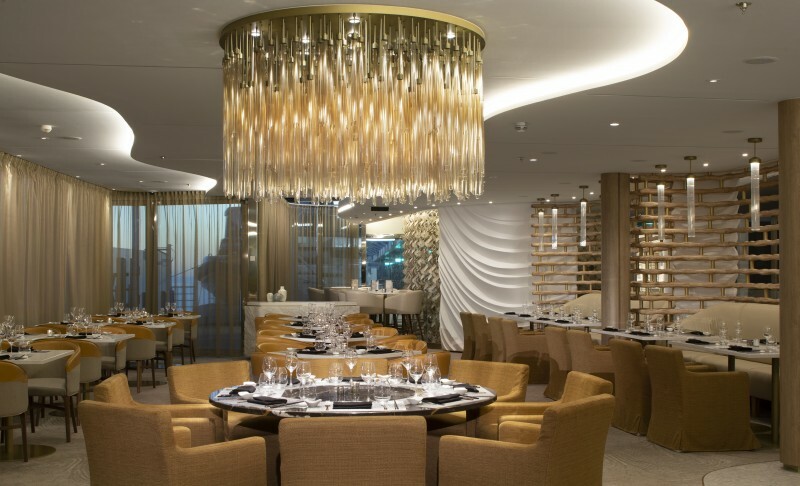 Deck 12 features staterooms in categories IC, PS, RS, CS, S1, S3, C1, C2, C3, SV, and 9, as well as Luminae at the Retreat. Deck 11 features staterooms in categories CS, S1, S2, S3, C1, C2, C3, SV, 9, 10, and 12. Deck 10 features staterooms in categories S1, S2, S3, A1, A2, C2, C3, SV, 9, 10, and 12. 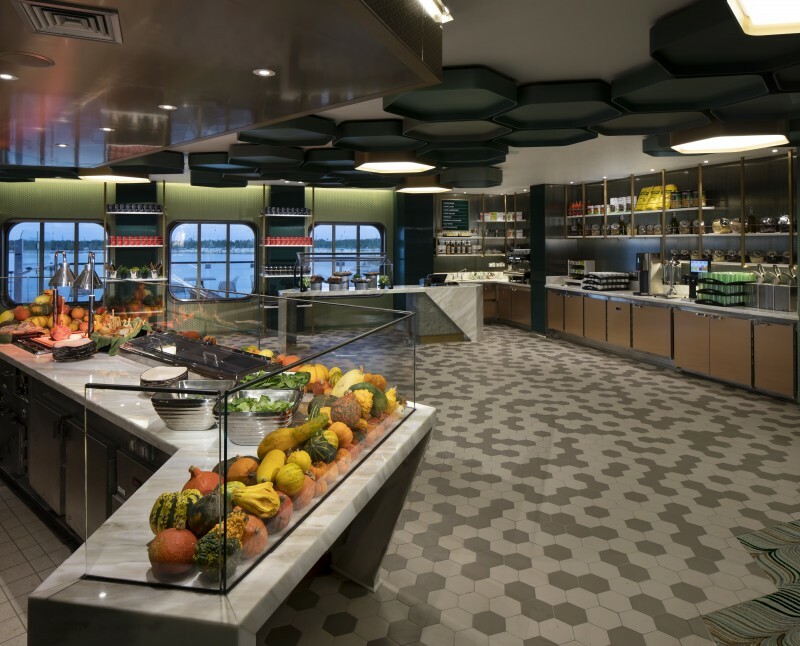 Deck 9 features staterooms in categories S1, S2, S3, A1, A2, C2, C3, E1, SV, 1A, 6, 9, 10, and 12. 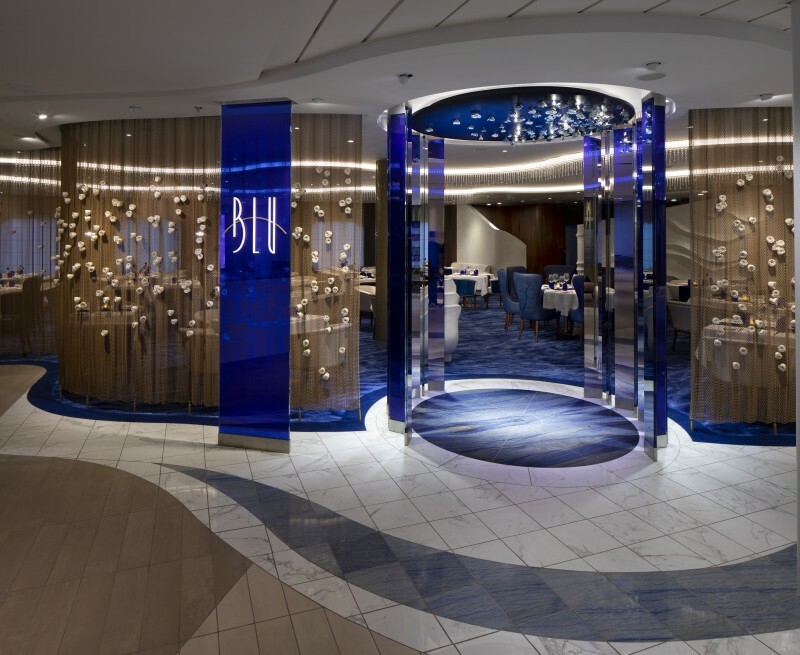 Deck 8 features staterooms in categories S1, S3, E1, E2, E4, SV, 1A, 6, 10, 11, and 12. 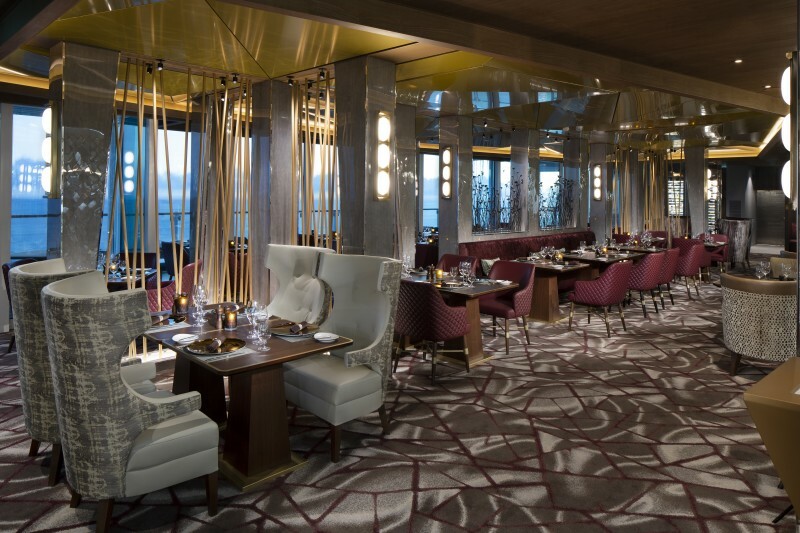 Deck 7 features staterooms in categories S1, S3, E1, E2, E3, E4, SV, 1A, 11, and 12. 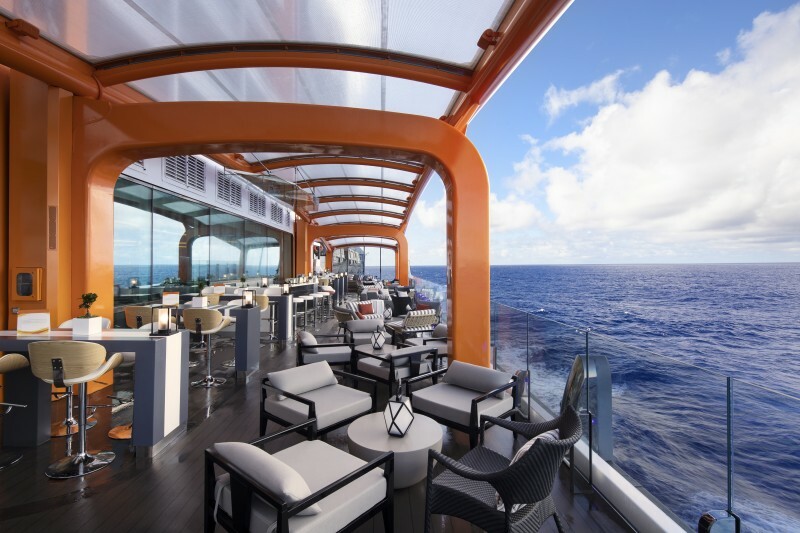 Deck 6 features staterooms in categories S3, E3, E4, E5, ES, 1B, PO, and I2, as well as Eden public area. 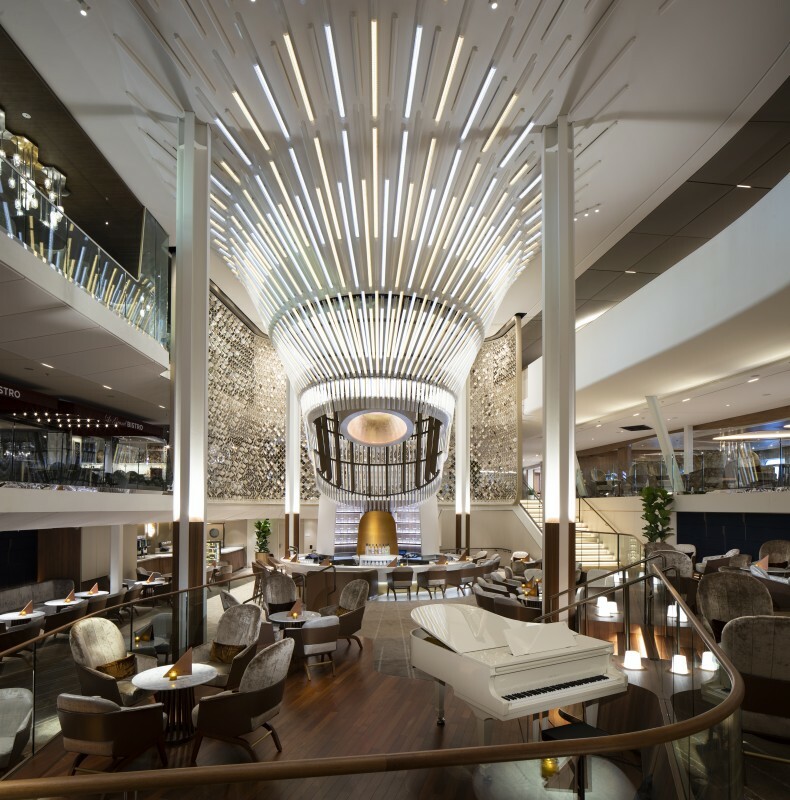 Deck 5 features the upper level of The Theatre, The Club, the Art Gallery, Fine Cut Steakhouse, the Grand Plaza, Raw on Five, the Magic Carpet, Boutique Shops, Blu, Eden Cafe, and Eden Bar. 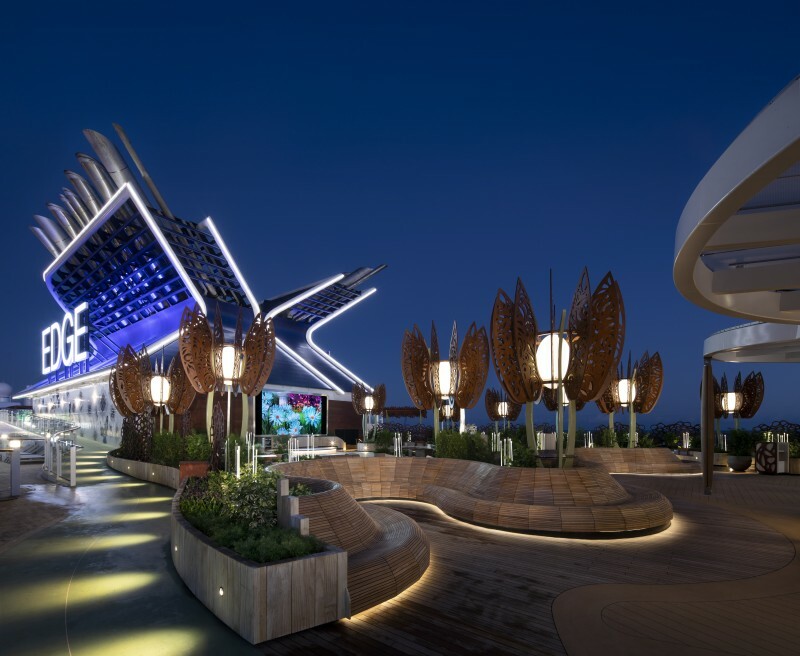 Deck 2 features the Destination Gateway and Magic Carpet entrance.